It seems banning actual breastfeeding wasn't enough for Facebook, they're now going after booby seabirds, too! A small Australian island's tourism board says a Facebook ad inviting eco-tourists to its Bird 'n' Nature Week has been unfairly banned because they engaged in some light booby wordplay. 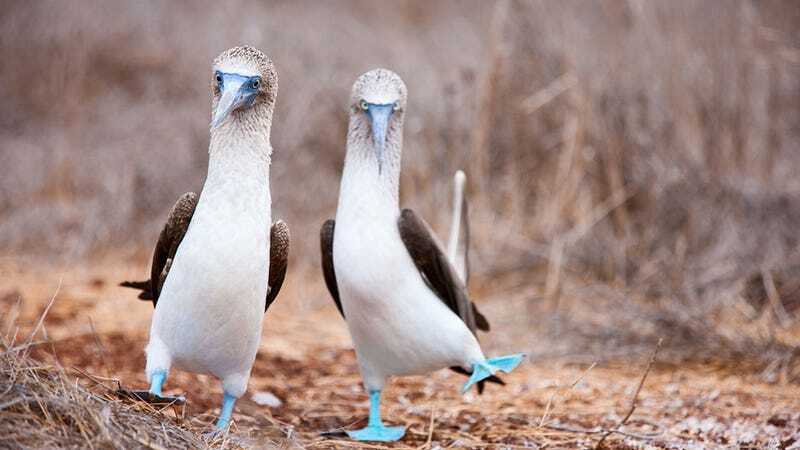 "Some gorgeous shots here of some juvenile boobies," the ad read, next to images of the Red-footed Booby, Brown Booby and endangered Abbott's Booby. That copy is certainly suggestive, and you may even consider the innuendo mildly pedophilic. But Christmas Island tourism marketing manager Linda Cash figured at first that the ban was a mistake. She tells Travel Daily News: "We presumed our original advert was blocked automatically so we appealed to Facebook directly who re-affirmed the campaign was banned due to the sexual language—particularly the use of the word 'boobies.' "
Oh, Facebook. Just let the boobies be.